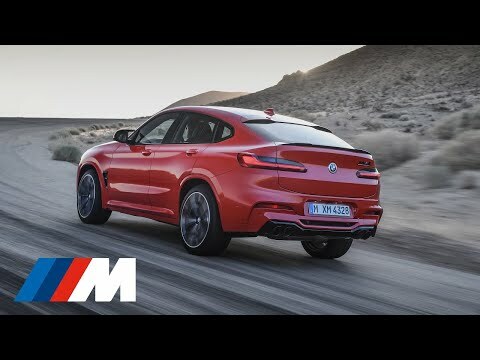 NEW BMW X4 M COMPETITION. Discover new confidence with the all new BMW X4 M Competition. A powerful combination of the BMW xDrive all-wheel system and BMW M racetrack flair, creating an advanced, sleek new model which will 'raise expectations from every journey'. Launching in September 2019. Register your interest now. THE NEW BMW X4 M COMPETITION IN MORE DETAIL. The new BMW X4 M Competition offers you a transformative experience from the get go. Powerful features like the M-style cockpit design is effortlessly complemented by other M Designed elements, such as the heated and electric M Seats in Extended Full Merino leather. Make the journey feel more like the destination itself with the advanced BMW Technology which comes standard. BMW's new intuitive driving systems are integrated perfectly into the driving experience. This is evident with the use of Lane Departure Warning, Lane Change Warning, Speed Limit Info, Parking Assistant and Reversing Assist Camera, which all come as standard. Building on the already impressive M40i and M40d models, the X4 M Competition takes practicality and performance to a whole new level with a range of impressive features and technologies. The BMW Icon Adptive LED Headlights provide the driver with cornering lights to non-dazzle high beams, making every driving moment a pleasure. The iconic BMW kidney grille gets a confident update with the striking M Double slats design in High-gloss Black finish. This combined with further stylish M elements in High-gloss Black bring out the model's sporty nature, which looks and feel great. This new BMW is being launched in September 2019. Register your interest now.